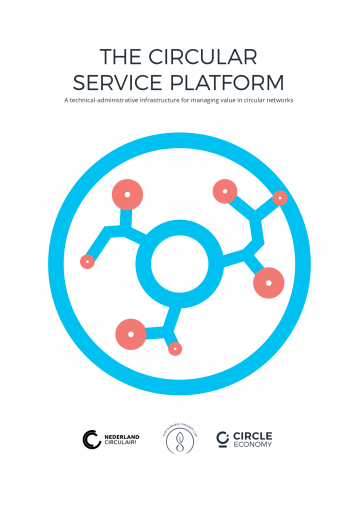 Circle Economy, the Amsterdam-based circular economy group, and Sustainable Finance Lab, the network of sustainable finance experts, launch an open infrastructure pilot project to reduce the administrative burden on product-as-a-service businesses. The decentralised digital Circular Service (CISE) platform has been developed by a specially convened Community of Practice (CoP) in collaboration with Bundles, Rabobank, Allen & Overy, ABN AMRO, ING Bank, DLL, and Leystromen, with the support of Nederland Circulair! The CoP designed a decentralised digital infrastructure to lower the administration costs, in time and money, of providing circular services. The platform will automate administration and network coordination for circular, pay-per-use service providers. Key learnings from the proof-of-concept phase are available in a Circular Service Platform whitepaper, to be launched on April 11. The Circular Service platform has been tested for three different types of assets: milk, cars, and washing machines. Companies and entrepreneurs who are keen to transition to a circular, pay-per-use model are invited to pilot their service on the platform. In the circular economy, supplier and providers of different types (hardware, consumables, and service providers) collaborate to optimise the lifetime of the assets they provide as a service. This collaboration spans from pre-use to post-use, and can be represented in terms of a value hill for any product; for example, a washing machine, or a set of headphones. An integrated life-cycle system requires that all costs and services involved in operating the asset are shared between participants. Collaboration of this nature depends on trust and openness in the network which services the asset. To date, such networks have incurred challenges in coordination and administration, in particular in relation to financing needs and often complex divisions of ownership. The “Managing Value in Circular Networks” Community of Practice (CoP) designed a decentralised digital payment platform for circular pay-per-use business models. The platform could support automatic execution and enforcement of contracts (or “smart contracts”). In future, such a platform could be engineered to support micropayments. The CISE Platform aims to unburden pay-per-use service providers, such as Bundles, from the administrative hassles involved in servicing assets. The platform functions as a flexible and open facility and is collectively owned and maintained by the service providers. The CISE platform is currently in pilot stage and has already been piloted with electric cars (pay-per-driven km), milk robots, and Bundles’ pay-per-use washing machines. Entrepreneurs keen to provide pay-per-use/circular products or services are welcome to join and make use of the platform; so are financiers seeking to support such value propositions; as well as distributed ledger technology experts and enthusiasts interested in how the technology can enable a circular economy. The “Managing Value in Circular Networks” Community of Practice brought together experts from Circle Economy, Sustainable Finance Lab, Bundles, Rabobank, Allen & Overy, ABN AMRO, ING Bank, DLL, and Leystromen, and was supported by Nederland Circulair! Hey Buddy!, I found this information for you: "Innovators launch Circular Business Administration Platform". Here is the website link: https://www.duurzaam-ondernemen.nl/innovators-launch-circular-business-administration-platform/. Thank you.